Der Harvard Business manager ist die erweiterte deutsche Ausgabe der amerikanischen Harvard Business Review, die insgesamt in zwölf Sprachen erscheint. Bei gut der Hälfte aller Artikel in der deutschsprachigen Ausgabe des Monatsmagazins für Management- und Wirtschaftsthemen handelt es sich um Übersetzungen. Statt – wie meist üblich – die Übersetzer ungenannt zu lassen, werden sie jedoch im Impressum ausdrücklich genannt (siehe Abbildung). Ein vorbildliches Verhalten der manager magazin Verlagsgesellschaft, die zur Verlagsgruppe rund um das Nachrichtenmagazin Der Spiegel gehört. Reading Nataly Kelly's article "The Words We Use to Describe Ourselves" published in the October issue of the ATA Chronicle, I came across the neologism "interpretator", a hybrid of the words translator and interpreter. I think it should become the new word for those of us who both translate and interpret. "Ein Döner mit Alles, bitte." 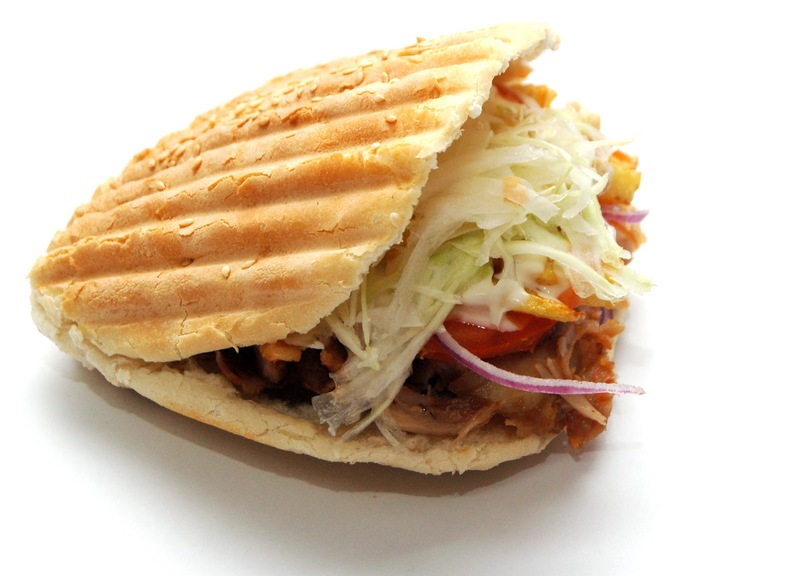 "Jawohl, einen Döner mit Allem." Here's a good write-up on a situation most of us are familiar with, also called The Favor! You’re sitting at home (or at work) slaving over a translation when out of the blue you receive a call/email/text message* (delete where appropriate) from a colleague/friend/acquaintance* (delete where appropriate) who you have not heard from for quite some time. The message usually begins in similar fashion regardless of whether it is a phone call, email or text message and whatever the nature of your relationship with the interlocutor – a polite yet brief query as to how you have been these past few weeks/months/years in order to momentarily detract from the main point of the message. Your suspicions are raised immediately – this is not the first such message you have received from ‘friends’ – yet you remain quietly heartened by the fact that this person has decided to contact you after such a long time. Who are these people to determine the period of time a translation task should take? And then demand that we perform the task? What is more, the very fact that it would take, for example, only five minutes is surely testament to the fact that we are good at our job. Specialists, as we all know, are usually richly rewarded for their specialist services. Why is it that people who are not translators believe translation should be undertaken for free? Do architects receive calls from friends to ‘do a quick sketch’ of a proposed design of a room? Do copywriters get text messages from colleagues to ‘come up with a short slogan’ for a product? Do accountants receive emails from clients asking them to ‘undertake a brief audit’ of an investment? Mein Leben ist zur Zeit etwas im Aufruhr, was dazu geführt hat, dass ich nun schon im dritten Büro in drei Wochen sitze. Hier kommen mir natürlich auch meine Selbständigkeit und mein Beruf zugute, die es mir erlauben eigentlich überall arbeiten zu können, wo es Strom und Internet gibt. Obwohl ich im Moment ohne Notebook auskommen muss, ist es trotzdem erstaunlich unkompliziert mein Büro umzuziehen: Das Notwendigste (u.a. Wörterbücher, Unterlagen, Büromaterial, usw.) passt in vier kleine Kisten, PC-Turm, Monitore, Maus, Tastatur, USV und Drucker sind auch schnell verstaut und passen problemlos in den Kofferraum eines normalen Autos, und der Auf- und Abbau sind so schnell, dass ich innerhalb von 30 Minuten nach Ankunft mein Büro schon wieder öffnen kann. Wenn ich alles grenzüberschreitend verlagern müsste, wäre es ohne Auto natürlich nicht ganz so einfach, aber mit ein bisschen Planung wäre auch das möglich, denke ich. Wie sieht es denn bei meinen Kolleginnen und Kollegen aus? Seid ihr schon mal zeitweise mit Büro umgezogen? Was habt ihr alles mitgenommen? Und wie habt ihr es organisiert? Since I am completely swamped with work, I thought I'd share Per N. Dohler's very interesting translator profile from the Translation Journal (Volume 7, No. 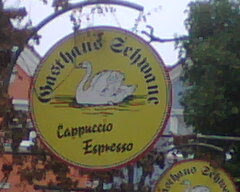 1, January 2003). hen Gabe asked me to "be" the Translator Profile for this issue of his wonderful Translation Journal, I felt opportunity knocking. A typical freelance translator, spending most of his or her time alone in a room (well, alone with the world since the advent of the Internet, but still), will readily discourse at length on just about anything, given a fraction of a chance. My wife Thea, who has had ample occasion to study the social behavior of translators, calls this "translators' logorrhea" and considers it a professional disease. It's easy to waste an immense amount of time repeating everybody else's mistakes. Uh, well—what can I say. (Ahem, a lot, obviously.) I am a freelance translator (I like to say "independent translator"). My native language is German. My extraction is German, Romanian, Hungarian, Polish-Jewish, and other things I will never know about. My country is Germany, but if I hadn't adopted the U.S. and Sweden on the side I could never stand being here. I translate from English and the Scandinavian languages into German. My fields are dental, medical, financial, marketing, PR, IT, localization. I live and work in Barendorf, a small community in the center of Northern Germany, together with said Thea, who is an independent consultant, my best editor, and a lot of other things that don't belong here. And in case I have forgotten something, you can always look it up at www.triacom.com. Unfortunately, on top of all that, I am also probably one of the world's most eminent experts on how not to become a translator. I know what I am talking about. In my first years as a translator I did almost everything wrong, and I certainly made plenty of the most elementary mistakes. I'd say I wasn't even a translator initially; I was just posing as one. True, I had an academic background in U.S. literature and English linguistics, painfully acquired after meandering through the academic system for too many years (easy enough to do at those unstructured German universities). And, having spent a couple of years in California, I felt that my English was adequate and that I knew a little about the U.S. But that, of course, is nowhere near good enough to hang out one's shingle as a translator. My first paid translations were done, somewhat accidentally, in 1982, for a professor of history. I had to translate source documents from U.S. history into German for inclusion in an annotated textbook. The volume in question did eventually appear; my contribution was hardly recognizable. But no one told me what I had done wrong, or how. The next step in that dubious career of mine came over a year later, when my father—a dentist and director of the state dental association—referred Germany's largest dental publisher to me (just like that, he had no idea whether I would perform OK or not). So I started doing dental translations, all of which were edited by my father. ("That may sound good, Per, but it's not what a dentist would ever say!") (HINDSIGHT: What I gained from this cooperation over the next few years was the best practical education in the field I could have had, short of actually becoming a dentist myself.) But from a business angle, the whole setup was a disaster because I simply swallowed what I was fed. I would receive two or three dental articles a month to translate from English into German. I was getting paid by the printed page, a few months after the article appeared in print (if it appeared), at a rate set by the publisher. It was not until over a year later that a new editorial coordinator took pity on me and suggested that I submit an invoice for what I had not heretofore thought of as accounts receivable. Meanwhile, my M.A. thesis was finally completed, even well received—but there were no jobs for linguists. I'd had an invitation to work toward a Ph.D. at the University of California at Berkeley, but the family finances did not stretch that far. To turn a dead end into something useful, I started out to get a second degree, this time in computer science (there were, and still are, no tuition charges at German universities, so that was no problem). Something with language and computers—that could be hot, or so we thought, even though it was not quite clear how. (HINDSIGHT: This was going to give me an enormous advantage in the 1990s, when localization became a big hit.) To put bread on the table, I continued working for my dental publisher, even acquired a second one and a pharmaceutical company somehow (word of mouth, probably), and audited assorted university-level classes in medicine and dentistry. I managed to muddle through in this manner for some time more. Finally, one morning in 1988—six years after my first translation!—I looked at myself in the mirror and said, almost a bit surprised, "You, Per, are actually a translator." (HINDSIGHT: I was not, yet.) I dropped out of school, bought a new computer and more dictionaries, sent out some makeshift mailings—I didn't know anything about marketing either—and actually landed one or two new clients. Everything I ever learned I learned from someone else. Translators must be one of the most interesting breeds of people. Many are probably a little weird, myself quite possibly not excluded; but most of those I met in the ensuing years—and I met plenty of colleagues at home and abroad over the years, enjoyed their company, enjoyed their hospitality, tried to lure them to Barendorf ("Hotbed of North German Translation"), almost as if to make up for lost time—are really interesting people with strong opinions, which they are eager to try on others. We come from an incredible wealth of backgrounds and bring this diversity to the incredible wealth of worlds that we translate from and into. I don't know who said it, I may even have made this up myself: "Everything I ever learned I learned from someone else." In my case, when it comes to the art, the craft, and the business of translation, the "someone else" would usually have been someone I originally met on FLEFO, and the time would have been the early 1990s. So in this manner, I became a translator after all. Things have been largely uphill ever since. Take a sober inventory of what you bring to the job. All of us—all of us!—have learned interesting things in our lives, which might be useful in one way or another when translating in various fields. But if you lack certain essentials—for example, if you are not a good writer in your native language—then do consider pursuing a different path. Take a sober inventory of what you still need to acquire. Then acquire it. Spend some time on training first—it need not be in translation as such—specialty fields are just as important for many. Allow yourself some time abroad; read, read, read; and listen, listen, listen. Even if you think you already have a solid foundation and you have work, set aside enough time so that you can still do all of the above on the side. Seek out colleagues wherever you can. Good places to look are Internet "hangouts" for translators and (yes) translators' associations. Collaborate whenever you have a chance. Edit and be edited, even if you hate editing. Above all, keep your mind open. What we learn today isn't going to last us a lifetime! Don't deceive yourself into thinking you are some kind of an artist enjoying artists' (and fools') privileges—99% of the time you are not. Think of yourself as a businessperson first and foremost. Be dependable. Be available. Be visible. Be serious. Market yourself. Stick to deadlines religiously. Don't guess what your customer needs—if you aren't 100% sure, ask. If you don't like what you hear, say no. If you are called upon to do something you cannot do, say no. But if you do engage in a contract, abide by its terms. Sound trivial? You'd be surprised how many translators fail in precisely these trivial things. The most rigorous translation is worthless if it arrives after that atomic power plant blows up. Develop a set of negative criteria for those projects you don't want to do. Then don't do them. Develop an O.K. set of positive criteria for those projects you really do want to do. Then pursue them whenever you have a minute to spare. Determine where you want to go. Ask yourself: What would I like my professional life to be, say, ten years from now? From time to time, calibrate the things you do on a daily basis against that overall goal. It has been predicted that translators would be obsolete "in ten years" for about fifty years now. These predictions will probably continue to be issued regularly for the next fifty years. There are translators who claim they never allow a less-than-perfect translation to leave their desk. They are lying. Terminology is to translation what trees are to the forest. But you often don't see the latter for the former. There is no such thing as a perfect translation. There isn't even such a thing as a translation most people would consider pretty good. "Quality" in the sense used in ISO 900x has nothing, absolutely nothing to do with "good" or "bad." ISO 900x is not applicable to mental activities such as translation. All marketing methods (such as a website) work best as part of an overall marketing concept. Such a concept need not be aggressive. But why not try "quietly pervasive"? There are clients with low-quality needs, clients with top-quality needs, and the gamut in between. There are translators to accommodate all those markets. Over time, the choice is ours. A company that is a delinquent payer will probably stay a delinquent payer. Caveat vendor. Like all other human activities, translation is subject to the law of diminishing returns. Happy translators know when to stop worrying about the remaining details. There are more translators earning decent money than the general chorus of complaining suggests. Saying no to unreasonable demands may do nothing for your checking account in the short run, but it will work wonders for your self-esteem in the long run. The Internet revolution is actually over. The CAT revolution is actually over. The next revolution has not yet surfaced. Those who catch it early will be ahead of the game. But don't expect anyone to tip you off—you have to look around for yourself. Our most precious tool, beyond our brains, is our own data on our own computers. Dictionaries, programs, CD-ROMs can usually be replaced if lost. Our own original data can't be. CAT tools make translation faster. They can make translation more consistent. But CAT has pitfalls, such as disparate translation memories, which probably lie at the bottom of a lot of incoherent translations—mumbo-jumbo like nothing anyone would have ever come up with before CAT. I have already written about this topic before (in German) , but one cannot stress enough how important it is to take good care of one's body and mind (or brain), especially when working at a desk for the majority of the time. Marta Stelmaszak from WantWords, who has a whole series of excellent lessons for translators on her blog, also wrote about this, and I can only recommend her Lesson 27: Taking care of a translating brain. Are there any other good posts about this out there? If so, please let me know and link to them in the comments! Es passiert ja selten genug, aber letzte Nacht war es mal wieder so weit: Nachtschicht war angesagt! Mein aus vielen Gründen liebster und gleichzeitig auch längster Kunde hatte einen Eilauftrag: er brauchte zwei Dokumente bis heute morgen um 8 Uhr übersetzt. Dokumente bedeuten Formatierung, und zwar erfahrungsgemäß jede Menge. Und ich hatte am Abend auch schon einen Termin. Was tun also? Ich hätte natürlich nein sagen können. Aber zum einen war ich quasi schon der letzte Notnagel (sie hatten schon vorgestern deswegen angefragt, und ich hatte wegen Zeitmangels abgelehnt, aber sie konnten niemanden sonst finden, also haben wir uns auf einen Kompromiss geeinigt, bei dem der zeitaufwändigste Teil, die Formatierungsarbeit, beim Kunden blieb), und zum anderen war es ja eben der Lieblingskunde, und dem schlage ich nur ungern was aus, weil die Beziehung einfach so gut ist (mal davon abgesehen, dass die Vergütung immer absolut angemessen ist, wie auch in diesem Fall wieder). Also habe ich mich mental auf eine Nachtschicht eingestellt, entweder sehr spät (durcharbeiten) oder sehr früh (nicht so spät ins Bett, aber dafür sehr früh aufstehen und den Auftrag dann fertig machen), meine anderen fälligen Aufträge fertig gemacht, und mich dann an den Eilauftrag gesetzt. Das Ende vom Lied war, dass ich nach dem Termin am Abend den Auftrag abgeschlossen und um 2 Uhr weggeschickt habe, und dafür heute morgen etwas länger geschlafen habe. Wie halten meine Kollegen das? Macht Ihr Nachtschichten? Wie oft? Eher spät oder eher früh? Und kosten sie extra? Two and a half days filled with interesting lectures, lively panel discussions and instructive workshops, with meeting colleagues and friends, some again, others for the first time (yes, that would be you, my dear Twitteros), with drinking coffee and water (and apple juice, when neither of the above was available), with lots of sunshine and music (go, Gayle Tufts! ), with a Bavarian Evening hosted by my regional association), with social networking like there was no tomorrow (#bdue2012), and so much more! For me, the two greatest things were that this time, I was totally relaxed and able to just enjoy it all without any stress whatsoever (last time, three years ago, I was so nervous and excited, because it was my very first conference, and I had been a freelancer for only one year, and it was all so very new and overwhelming that it was very exhausting), and that I went there and back on my motorcycle, which was a fun trip in and of itself (and let me roam the halls of the Henry Ford Bau as my alter ego, the Fastest Translator in Town, on the last day)! I hope everyone else who attended enjoyed it as much as I did! See you again next time in Berlin! Anlässlich der bevorstehenden Konferenz in Berlin dieses Wochenende, an der ich teilnehmen werde, und des zur gleichen Zeit stattfindenden Weltübersetzertages, gibt es heute mal eine passende Pressemitteilung des BDÜ. Der Bundesverband der Dolmetscher und Übersetzer räumt am Internationalen Übersetzertag am 30. September mit falschen Vorstellungen vom Beruf auf. Fremdsprachenkenntnisse alleine reichen schon lange nicht mehr aus. (Berlin, 20. September 2012) Hartnäckig hält sich das Gerücht, dass Übersetzer im stillen Kämmerlein und umgeben von dicken Wörterbüchern arbeiten. Am 30. September ist Internationaler Übersetzertag, und der Bundesverband der Dolmetscher und Übersetzer e.V. (BDÜ) nimmt das Datum zum Anlass, um mit falschen Vorstellungen von diesem Beruf aufzuräumen – und die Arbeitsrealität von Dolmetschern und Übersetzern im Zeitalter der Globalisierung transparenter zu machen. Dank Internet arbeiten Übersetzer heutzutage mit Kunden und Kollegen weltweit vernetzt. Der Computer ist ihr Arbeitsgerät, und viele Wörterbücher gibt es mittlerweile online. Generalisten unter den Übersetzern sind selten geworden, denn sie haben es schwer, sich in einem stark umkämpften Markt zu behaupten. Übersetzer sind zunehmend auf bestimmte Fachgebiete spezialisiert wie zum Beispiel Medizin, Recht, Technik, Wirtschaft oder auch Literatur. Um den Trend zur Spezialisierung geht es auch auf dem 2. Internationalen Fachkongress „Übersetzen in die Zukunft“ des Bundesverbandes der Dolmetscher und Übersetzer vom 28. bis 30. September in Berlin. Mit 1.300 Teilnehmern aus 30 Ländern ist dies die größte Veranstaltung der Branche in Europa. Das Motto lautet in diesem Jahr: „Dolmetscher und Übersetzer: Experten für internationale Fachkommunikation.“ Im Fokus stehen Veranstaltungen rund um das Thema Spezialisierung. BDÜ-Präsident André Lindemann: „Die Themen werden immer komplexer. Dolmetscher und Übersetzer brauchen nicht nur sehr gute Fremdsprachenkenntnisse, sondern auch translatorische Techniken und fundierte Kenntnisse in ausgewählten Fachgebieten.“ Kurzum: Eine Fremdsprache gut zu sprechen, reicht schon lange nicht mehr aus. Der Weltübersetzertag am 30. September geht zurück auf den Todestag des Heiligen Hieronymus, dem Schutzpatron der Übersetzer. Er übersetzte unter anderem die Bibel ins Lateinische. Die als „Vulgata“ bekannte Bibelübersetzung galt lange Zeit als maßgebliche Übersetzung der Bibel der katholischen Kirche. 1991 führte die internationale Übersetzerorganisation „FIT“ (Fédération Internationale des Traducteurs) den Weltübersetzertag ein, um die Leistungen von Dolmetschern und Übersetzern ins Bewusstsein der Öffentlichkeit zu rücken. 38.000 Dolmetscher und Übersetzer gibt es laut Mikrozensus 2011 in Deutschland, 25.000 Frauen und 13.000 Männer. Mehr als die Hälfte von ihnen arbeitet selbstständig. Weiterführende Informationen: Informationen zum Internationalen Übersetzerkongress gibt es unter www.uebersetzen-in-die-zukunft.de. Der Bundesverband der Dolmetscher und Übersetzer e.V. (BDÜ) ist mit über 7.000 Mitgliedern der größte deutsche Berufsverband der Branche. Er repräsentiert 75 Prozent aller organisierten Dolmetscher und Übersetzer in Deutschland und vertritt seit 1955 deren Interessen. Eine BDÜ-Mitgliedschaft steht für Qualität, denn alle Mitglieder mussten vor Aufnahme in den Verband ihre fachliche Qualifikation für den Beruf nachweisen. Die Mitgliederdatenbank des BDÜ im Internet hilft bei der Suche nach Dolmetschern und Übersetzern für mehr als 80 Sprachen (www.bdue.de). Auskünfte werden nach bestem Wissen und Gewissen, jedoch ohne Rechtsverbindlichkeit und unter Ausschluss jeglicher Haftung erteilt. Today, I came across this very interesting article in my Twitter time line: Music Underlies Language Acquisition, Theorists Propose. The article basically says that contrary to common belief, music is "not dependent on or derived from language", but rather that "spoken language is a special type of music" - "music comes first and language arises from music." Would it then maybe follow that especially musical people are particularly gifted for languages? Als ich dieser Aussage das erste Mal begegnete, dachte ich: "Na ja, das klingt sehr nach Selbstbeweihräucherung, und das ist ja gar nicht mein Fall!" Verkaufen war noch nie mein Ding, und mich selbst schon gleich gar nicht, aber genau das müssen wir als Freiberufler und Selbständige ja tun, sonst ist es nur schwer Kunden und Aufträge zu bekommen. Auch wenn ich neue Leute treffe, v.a. geschäftlich, und gefragt werde, was ich denn beruflich mache, möchte ich mich natürlich selbst gut darstellen. Schließlich weiß ich nie, ob der oder die andere nicht einmal einen Auftrag für mich hat - oder mehrere. (Und das ist auch wirklich schon passiert!) Für diese Situationen habe ich einen sogenannten 'Elevator Pitch' vorbereitet, also ein, zwei Sätze, in denen ich kurz, aber präzise sage, was ich mache und was meine Stärken bzw. Spezialisierungen sind. Und das ist doch "über das Gute reden", oder nicht? Wie ich mich sonst online präsentiere, eben z.B. mit meiner Webseite, auf XING, LinkedIn, Facebook, Twitter etc., ist meiner Meinung nach ebenfalls "über das Gute reden", wenn auch vielleicht nicht immer unbedingt so direkt und offensichtlich. Das Wichtigste an dieser Sache ist, finde ich, dass man eben diese Gratwanderung zwischen überzeugender Präsentation und übertriebener Selbstdarstellung schafft, und für mich funktioniert das am besten, wenn ich mich auf das Wesentliche und Gute konzentriere, ohne zu übertreiben oder auszuschmücken oder irgendwie belehrend oder besserwisserisch daher zu kommen. Was sind die Meinungen meiner Leser zu diesem Thema? Kommentare sind sehr willkommen! 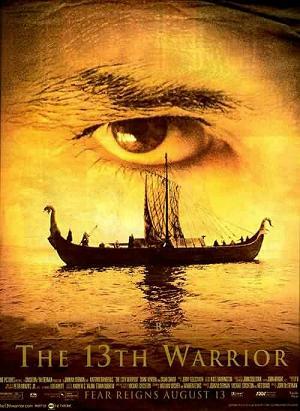 I was watching the movie "The 13th Warrior" the other day. Not wanting to evaluate the movie or the story, there are some things I just have to say, because it's just so... impossible not to say anything about them as a language professional. At the beginning of the movie, there is an older man acting as interpreter for the Arab hero who encounters a group of northmen. After failed attempts at Arabic and Greek, this man is able to communicate with one of the northmen in Latin. Aside from the fact, that I would really like to know where that man learned Latin, the level at which these two are able to communicate and share not only basic information but entire complicated conversations, including an oracle, is really rather mind-boggling. Texas German, also texanisches Deutsch, ist ein Dialekt, der sich entwickelte als deutsche Siedler in den 1840er Jahren in das Zentrum von Texas kamen. Es gibt das Texas German Dialect Project (www.tgdp.org), eine Dachorganisation, die in repräsentativen Gemeinden in Zentral-Texas, in denen Texas German gesprochen wird, forscht. Viele haben schon vom Pennsylvania Dutch, also dem pennsylvanischen Niederländisch, gehört, das nicht nur die Amischen, sondern auch Mennoniten, Lutheraner, Deutsch-Reformierte und jede Menge anderer Leute auch sprechen.http://www.blogger.com/wiki/Lutheran Laut Warren Hahn, der beim Texas German Dialect Project mitarbeitet, sprachen zu seiner Blütezeit (kurz vor dem 2. Weltkrieg) 100.000 Menschen diesen Dialekt. Texas German ist ein einzigartiger deutscher Dialekt, der über 150 Jahre lang in Zentral-Texas weit verbreitet war. Heute stirbt er aus, weil er nicht an die jüngeren Generationen weitergegeben wird. Eines der vielen Ziele des Texas German Dialect Project (TGDP) ist es das reiche Erbe des Texas German zu erhalten, denn es spiegelt die verschiedenen kulturellen Traditionen der Bewohner Zentral-Texas' wider. Deshalb interviewt TGDP Bewohner repräsentativer Gemeinden, in denen Texas German gesprochen wird. Teile dieser Interviews werden digitalisiert und dann im Texas German Dialect Archive (TGDA) aufbewahrt. I read this article about natural translators and musicians a while ago, and it got me thinking. Being a musician myself and having started my musical education at the tender age of three, I wonder if my musical talent has anything to do with my linguistic ability - or if it maybe even helped it emerge. To be sure, I've met plenty of musicians, including professional ones, who have a terrible time with languages, and although I have a surprising (or maybe not?) number of music-making colleagues, there are plenty who can't carry a tune in a bucket, much less play an instrument. But still, it seems to me that there is some kind of connection between music and language, beyond the obvious that - as far as I know - all languages use inflections to convey meaning, so that in a way we sing when we speak. I am also the kind of person who learns best when speaking and hearing things (for example new vocabulary), although I am not entirely sure that that has anything to do with music. But we do say somebody has an ear for languages, don't we, so maybe there is a connection after all. Is there a connection between being musically inclined and having a knack for languages? Are you a linguist and a musician? Dolmetscher machen es mit dem Mund, Übersetzer mit der Hand. Although I had been thinking about it off and on for quite a while now, I only recently decided to go ahead and purchase me - a Dragon. One reason why it took me so long (I first heard about him at the BDÜ Conference in Berlin 2009) was that I thought I had to purchase a license for every language I work with, i.e. one for German, one for English, one for Spanish. And that would have been quite a sum of money to shell out. But then I found out, that the Dragon is bilingual by nature, meaning he speaks two languages (English and one other language)... and that decided me. Since I don't have that many jobs into Spanish, I decided to give the English/German Dragon a try - and I am absolutely excited! Not having had any experience with speech recognition systems (which is what I am talking about, in case you haven't figured it out yet, namely Dragon Naturally Speaking by Nuance), I was a bit apprehensive regarding the time it would take for us to communicate properly. But my fears were unfounded! The Dragon in version 11.5 is so well trained that less than 5 minutes of setup and training time were required before I was able to start working with him. And, oh, how we work together?! My translation speed has doubled, and I have so much fun hearing the words come out of my mouth and seeing them appear on the screen. Yes, it requires a different kind of discipline to work with the Dragon - it helps, for example, to have the whole sentence in your head before you start talking -, and sometimes it takes a bit of convincing until he accepts my word as the correct one, but it is really astounding how smooth everything flows - including punctuation. I feel like this different approach to the process of transferring meaning from one language into another one, that is neither pure translation nor pure interpreting, actually makes my translations better, because I actually hear the words, not only in my head, but out loud. Inspiriert von einem Artikel auf Make A Living Writing von Carol Tice, habe ich mir überlegt, was man als Schreibtischtäter tun kann um fit zu bleiben. Auch wenn ich vielleicht nicht jeden Ratschlag immer hundertprozentig beherzige, kann ich die folgenden Punkte nur empfehlen, damit der Schreibtischjob auf Dauer keine negativen gesundheitlichen Konsequenzen hat. Bewegung. Eigentlich sollte das selbst verständlich sein, aber irgendwie gibt es immer 1000 andere Dinge, die dazwischen kommen, und dann ist der Tag vorbei und man hat wieder nichts getan. Egal welche Sportart man bevorzugt (ich zum Beispiel laufe und schwimme am liebsten), es sei denn es gibt einen festen Termin mit einer Gruppe, die beste Tageszeit sich sportlich zu betätigen ist gleich am Morgen. Auch wenn es zunächst etwas Überwindung kostet früher aufzustehen, lohnt es sich auf jeden Fall, denn danach ist man definitiv wach! Gesunde Knabbereien. Dass es wichtig ist, sich gesund zu ernähren, ist klar. Aber wie sieht es mit den Zwischenmahlzeiten aus? Ich bin ja von Natur aus schon ziemlich verfressen, aber wenn ich mich ganz besonders konzentrieren muss, habe ich immer das Bedürfnis mir etwas zwischen die Zähne zu schieben. Wenn das Büro dann auch noch zuhause und der Kühlschrank nebenan ist, ist die Versuchung natürlich groß… Deshalb am besten gleich gar nichts Ungesundes im Haus haben und lieber auf Obst und Gemüse zurückgreifen. Oft hilft auch schon viel trinken. Und wenn dann etwas auf den Schreibtisch kommt, dann nur in kleinen Portionen. Und am besten geht man danach auch gar nicht mehr in die Küche zurück. Haltung. Jeder, der längere Zeit am Schreibtisch verbringen muss, kennt das Problem: egal wie sehr man sich bemüht, irgendwann hat man eine schlechte Haltung, und die macht sich bemerkbar. Schultern, Rücken, Nacken - alles schmerzt. Ich habe ja bereits an anderer Stelle von meinem tollen neuen Schreibtisch erzählt, der es mir ermöglicht auch im Stehen zu arbeiten. Aber wenn ich vom Stehen genug habe, ist der richtige Untersatz wichtig. Hier lohnt es sich in einen guten Bürostuhl zu investieren. Eine sehr gute günstige Alternative ist aber auch ein Sitzball, weil man dadurch gezwungen ist sich ständig zu bewegen um im Gleichgewicht zu bleiben, was gleichzeitig auch den Rücken stärkt und Fehlhaltungen vorbeugt. Ausgleich. Auch das sollte eigentlich eine Selbstverständlichkeit sein, aber ich kenne leider viel zu viele Kollegen, die scheinbar nur arbeiten. Meiner Meinung nach wirkt sich aber die mentale Gesundheit auch auf die körperliche aus, deshalb ist es für mich extrem wichtig neben der Arbeit auch andere Dinge zu tun. Wie dieser Ausgleich jeweils aussieht, ist jedem selbst überlassen, aber je mehr Bewegung damit verbunden ist, desto besser natürlich. Für mich gehören auf jeden Fall Dinge dazu, die mit meiner Arbeit nichts zu tun haben, wie Motorradfahren, Tanzen und mich mit Freunden treffen. Wie gesagt, ich halte mich auch nicht immer hundertprozentig an Alles, aber ich merke es deutlich, wenn ich es über längere Zeit nicht tue. Aller Anfang ist schwer, das ist richtig, aber ich kann aus eigener Erfahrung sagen, dass es sich wirklich lohnt anzufangen und etwas für sich und seine Gesundheit zu tun - auch und gerade als Schreibtischtäter. Prior to submitting your text to be translated, make sure you give the translator proper context. In addition to giving a brief summary detailing what the intentions for the translation are, also be sure to guide the translator on the *type* of language you are hoping for; i.e. is this a business report that requires a more formal wording, or is this a video-game translation that could contain a more fun, casual language? If you're not sure whether to trust the translator you've chosen, do some due-diligence and paste your source text into popular machine translation tools such as Google Translate and make sure your translator did not submit a machine translation verbatim. It only takes 30 seconds to complete and it's better to be safe. Do you have friends or coworkers who are native speakers of your target language? Use a little social capital and ask them to take a quick look to make sure that your translation was done by a native speaker. Sometimes they will notice small mistakes (spelling, punctuation, etc.) and you can then request corrections from your translator. Bear in mind however that language can often be subjective, and each speaker you ask may have a different opinion on what the "best translation" of a particular sentence is. In the end, feedback from your own users will be the one of the best resources in evaluating the quality of your translations. After all, Japanese users of your iPhone App localized know the exact context of the translation, and are the best to judge what slang or specialized language is appropriate. For crucial content, it's always best to have a second professional translator take a look. If you use freelance translators, a good practice is hiring at least two translators for each target language and having them alternate between translator and proofreader roles. After you have taken all of these steps to check the quality of your translation, be sure to remember the translators whose work passed all of these tests and keep them on the short list for future jobs. Not only is attention to detail and accuracy important, but also their responsiveness to your comments. Did they ask follow-up questions, or did they ignore you? Am 6. und 7. Juli fand in Nürnberg die START-Messe statt, eine Messe für Gründer, bei der sowohl neue Firmen als auch unterstützende Unternehmen dabei waren. Als Vertreter des BDÜ LV Bayern, waren wir, die Regionalgruppe Nürnberg/Fürth/Erlangen/Bamberg, an beiden Tagen vor Ort. Wir hatten einen kleinen Stand gleich neben der Aktionsbühne, auf der viele interessante Vorträge und Podiumsdiskussionen stattfanden, unter anderem auch ein hervorragender Vortrag von Vorstandsmitglied Isabelle Hofmann darüber, wie wichtig es ist professionelle Übersetzer anzuheuern. Ausgerüstet mit jeder Menge Informations- und Werbematerial (und natürlich auch Süßigkeiten), waren immer zwei Personen am Stand um Interessierten Rede und Antwort zu stehen und vor allem unsere Online-Datenbank vorzuführen. Diese Datenbank, die über die Webseite des LV Bayern und die Webseite des Bundesverbands zugänglich ist, beinhaltet alle Mitglieder des BDÜ, die für Aufträge verfügbar sind. Über eine Suchmaske kann man Übersetzer oder Dolmetscher, Sprachen, Standort usw. auswählen. Die meisten Besucher waren ziemlich beeindruckt davon, wie differenziert man die Suche gestalten kann. Zum Beispiel kann man angeben, welche Muttersprache gewünscht wird, oder wie weit jemand von einer bestimmten Postleitzahl entfernt sein darf. An dieser Stelle auf jeden Fall noch einmal vielen herzlichen Dank an alle Helferinnen! Ohne eure Hilfsbereitschaft wäre diese Art der Öffentlichkeitsarbeit überhaupt nicht möglich. Aside from being a member of my professional association, the BDÜ, and the treasurer of the Bavarian chapter, I am also part of the editorial team of "Bayern Info", the members magazine published by the BDÜ LV Bayern three times a year. Right now, the second issue is about to be published and we are in the throes of proofreading everything, several times, in various stages. The fact that we are also completely revamping the entire look makes it even more important to look at everything closely. Since the team is spread across the entire "Freistaat", we have to do everything electronically. We are still trying to figure out the best and most efficient way of communicating and passing on changes, corrections etc. We have tried Google Docs and sending around Word files and e-mails, neither of which has proven to be really satisfactory but that could be due to user error, too. In any case, as we are now in the final stage, we get everything as pdf files. My pdf program has great features for commenting and marking pdf documents, so I'm using that rather than printing it out, marking it by hand and scanning it back in or laboriously counting rows and paragraphs and writing the changes in a separate document. 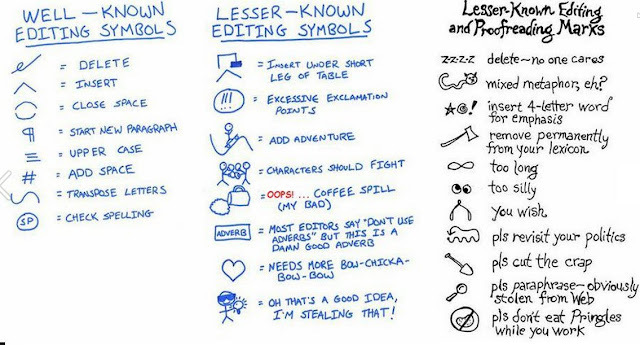 I don't know how many of you are (regularly) proofreading or editing other people's work, but if so, how do you do it? I'm curious to hear it! Please share in the comments! Die Kollegen Nataly Kelly und Jost Zetzsche, die das sehr tolle Buch Found in Translation geschrieben haben, haben ein neues Projekt geplant, für das sie Übersetzer und Dolmetscher auf der ganzen Welt um kurze Videobeiträge gebeten haben. Die Anweisung lautet: möglichst nicht länger als 10 Sekunden (schwierig! ), wenn's geht landestypisch, und natürlich das Schild nicht vergessen! Vielen Dank nochmal an Carmen, Michael, Stephan und Bernd fürs Mitmachen, und natürlich Andreas fürs Filmen! Observant people may have noticed that something else changed regarding my desk other than the desk itself. Together with my new desk, I also introduced monitor stands. I had realized that it was not just the sitting that caused bad posture but also the angle at which I had to look at my monitors - they were too low. Sie übersetzte Asterix und Obelix. Gudrun Penndorf erzählt rund 23 Minuten unter Anderem darüber wie sie überhaupt dazu kam, die ersten 29 Bände des gallischen Unbeugsamen zu übersetzen und welche Tücken in der Comic-Übersetzung an sich stecken. Ganz nebenbei bekommt man dann auch noch einen Eindruck davon, wie das früher so ging - ohne Handy, ohne E-Mail, ja, ohne Computer?! Vorstellen kann ich mir das nur schwer, aber offensichtlich ging es - und mit großem Erfolg! I recently came across some really interesting sites with people promoting walking while you work?! Yes, you read that right. There are people (and by now also clever companies catering to their needs e.g. by building special desks) who very slowly walk on a treadmill while working at their desks. While the statement that our bodies are made for walking and movement, not sitting, is certainly true, I just can't see myself working productively and well on a treadmill. However, what I can do is stand up every now and then. And since last week, I can do so and keep working, thanks to my new sit-to-stand desk! Ok, some people may argue that this is not really essential equipment. But anyone spending more than just a few hours a day in front of a PC will attest to the fact that regardless of how much you try to remind yourself to sit up straight and how many breaks you take, and no matter of how good your office chair (or ball or whatever you sit on) is, after eight hours (or more) hunched over a keyboard, your shoulders just don't want to straighten anymore and your entire spine protests at being brought back into its natural position. Simple and unfortunately undeniable fact. ... and at standing height. The best thing though is that I really feel how my shoulders are in their natural position, even while I'm typing. I don't feel as tensed up after a long day's work, and even my back is a lot happier than when I just sit. The first time I worked a full day at my desk, I actually worked standing up the entire morning - almost 4 hours?! [...]ein Klavier [muss] falsch gestimmt werden, damit es richtig klingt. Einmal, weil sich eine Oktave rechnerisch nicht genau auf zwölf Halbtöne (die schwarzen und weißen Tasten) verteilen lässt. Es müssen Kompromisse gemacht werden, damit das Instrument in jeder Tonart spielbar ist. Dann aber auch, weil das Klangspektrum einer Klaviersaite nicht genau den mathematischen Formeln entspricht (die sogenannte Inharmonizität). Das hat die digitale Revolution vom Klavierstimmen bisher ferngehalten. Denn dazu braucht's einen Menschen: Der Klavierstimmer richtet sich nicht stur nach Messwerten, sondern stimmt die Töne nach Gespür und Gehör so aufeinander ab, dass sie im Kopf richtig klingen. Denn Musik findet im Kopf statt und ist mehr als eine Abfolge bestimmter Frequenzen. Besonders die letzten zwei Sätze treffen meiner Meinung nach auch auf Übersetzer und Sprachen zu. Es geht ja beim Übersetzen nicht (oder nur wenig) darum die Worte einer Sprache mit Worten einer anderen zu ersetzen. Vielmehr muss man sie nach Gespür und manchmal auch Gehör (wer hat noch nie einen Satz laut gelesen, um zu sehen, ob er so passt?) aufeinander abstimmen, so dass die Nachricht richtig vermittelt und verstanden wird. Wie Musik findet auch Sprache im Kopf statt und ist mehr als eine Abfolge von Worten. Und genau aus diesem Grund glaube ich nicht, dass maschinelle Übersetzung jemals leibhaftige Übersetzer ersetzen wird, genauso wenig wie ein Stimmgerät jemals einem Klavierstimmer die (Fein-)Arbeit abnehmen wird. Die Maschinen und Programme werden sicherlich immer besser werden. Sie werden vielleicht sogar einmal wirklich gut sein. Aber niemals so, dass es wirklich richtig "klingt". Weil Musik und Sprache viel zu menschlich dazu sind. Und weil beides nur richtig verstanden wird, wenn Menschen dahinter sind, nicht Maschinen. I received a large envelope in the mail today. I get them about every six to eight weeks. Inside are between ten and twelve letters which I am asked to translate. Sometimes from German into Spanish, sometimes from Spanish into German. I have two weeks to complete the translations, which I then send off in another large envelope enclosed in the original package for this purpose. If I don't have time to do the translations, I can send them back, no questions asked, and somebody else will do the work. Up to this point it's not really much different from my usual work: I receive an inquiry, the texts to translate and a due date, I accept and do the work and send it back or I decline. That the original texts are on paper and I have to print out my translations is not too terribly unusual (having to staple them to the originals, on the other hand, is something I usually don't do with originals). The fact that the entire transaction takes place "in the real world" and not digitally is a bit different, true, but that is not what makes these translations so different. The real difference to my normal work is that I don't send an invoice. My only physical reward is a hand-made Christmas card I receive sometime in December. But I don't do this for personal gain or profit or because I collect hand-made cards, but rather because I like to help people communicate. People from completely different cultures (Europe and South America) and social standing are brought together through an organization so that disadvantaged children get a chance to go to school, learn a trade or study, and ultimately lead a better live, and so that their communities develop. And while the sponsors give money, I give my time to enable them to "speak" with their sponsor children on the other side of the planet and vice versa. Oh, the things they tell each other! The way the children write (and spell!)! The outpouring of love and affection on the pages! I think, being allowed to peak into these relationships, sometimes from the timid and cautious beginnings through a growing friendship to a successful finale, is a true privilege, and one that cannot be measured in coin! It's true, I sometimes groan when an envelope arrives, because I am booked out or my time is otherwise limited, but I always smile when I drop the package with the finished translations in the mail, because I know I am helping people communicate and connect who would not otherwise be able to do so. Seit der letzten JMV des BDÜ Landesverbands Bayern bin ich ja dessen neue Schatzmeisterin und somit auch Mitglied im Vorstand. Das heißt, dass ich auch bei den Sitzungen dabei sein muss, die ca. alle sechs Wochen stattfinden. Ich fand es besonders interessant zu sehen wie so eine Sitzung überhaupt abläuft. Netterweise kannte ich die anderen sechs Vorstandsmitglieder schon, teilweise auch schon länger, was es mir natürlich gleich deutlich leichter machte mich wohl zu fühlen. Außerdem gab es Kaffee (wichtig bei einer Nachmittagssitzung! ), einschlafen konnte also auch keiner, und das war auch keine ernstzunehmende Gefahr. Sobald alle versammelt waren ging es ohne große Zeremonie los - wir hatten schließlich jede Menge Punkte auf der Tagesordnung. Ich hatte schon befürchtet, dass es deswegen stressig werden würde, aber weit gefehlt! Alles wurde so detailliert wie nötig besprochen und diskutiert, ohne dass jemand Druck gemacht hätte, und selbst spontane und ungeplante Unterbrechungen waren kein Problem. Überhaupt ging es sehr locker und kollegial zu, und nicht so formell, wie ich das in anderen Sitzungen schon erlebt habe. Vielleicht liegt es daran, dass wir Kollegen sind, unsere Zeit sinnvoll, aber nicht bierernst verbringen wollen, jeder sein Ressort hat, alle sich vorbereiten, und wir alle gut miteinander klar kommen. Auf jeden Fall empfand ich es als ein konstruktives Miteinander, und ich bin auch ein bisschen stolz darauf ein Teil dieser Truppe zu sein und dazu beitragen zu können den LV Bayern gut in die Zukunft zu führen. Übrigens: Da wir inzwischen wirklich aus so ziemlich allen Ecken des Freistaats kommen, wird die nächste Sitzung als Telefonkonferenz stattfinden - darauf bin ich ja auch mal gespannt! Inspired by the recent Labor Day (May 1), I thought I'd share with you why I am a freelancer and why I do not want to be employed. During the last two years of my studies, I also worked as student worker at a very large international company, translating tons of documentation with the combined support of the five other people sitting in the same office with me, who were not translators at all, but rather specialists in this particular field, and who taught me - more or less inadvertently - how to research terminology. When I had passed all my exams, my boss at the time asked me to continue working and translating for them, which would have been great, except for one little detail: I would have had to enroll for some more studies (of whatever type) at university, so they would be able to keep me as student worker aka cheap labor! Beside the fact that a semester of university in Germany now costs quite a bit (nothing compared to the US, I know, but before it was virtually free), that would have been just wrong and cheating the system. Besides, if they thought I did such great work, why not hire me "for real" and pay me what I'm worth? Well, needless to say, I graciously declined. I had been looking for jobs all over the place, but as most of my colleagues will be able to attest, there are not very many jobs out there for translators, especially decent-paying full-time jobs. I had always been playing with the idea of just working from home, and having a husband who earns enough so we don't have to starve definitely was a plus a lot of my fellow fresh-out-of-school translators did not have. Since nothing worthwhile came up on the employment side, I just decided to officially become a freelancer. Since I had already been doing work on the side all this time, I already had some connections, and registering as paying member for a few select online platforms and communities quickly supplied me with clients and work. I had originally figured that it would take me at least a year to get somewhat established and make more than I needed to pay for all the insurances etc. but surprisingly, my business really took off within just a few months. I am now at the point where I actually have to turn down work fairly often, simply because I am booked out. Of course I could work more hours, but then I wouldn't have social life, and that is precisely what I do not want. Which brings me to the reasons why I love being a freelancer. One of the main reasons is that I don't have a boss who tells me what to do, how to do it and when to work. Well, in a way I still do, of course - the customers are the boss of any job I take - but it is up to me which jobs I take, i.e. I get to decide how much I want to work, I can work however I like, as long as the result is right; and I can make my own hours, take a day off in the middle of the week or meet with friends for breakfast whenever I want etc. It's really all a matter of how much work I accept and how I chose to carry it out. If I take a lot of jobs that all have to be done very quickly, naturally I will have to work long hours, maybe even nights and weekends, to get them all done and turn them in on time. Of course, I am also free to not do that and only take as many jobs as will comfortably fit in my personal office hours (i.e. the hours I am willing to work on any given day or in a week), so I have sufficient free time to do what I want. And that is really important to me: to have time for myself and the things I like to do. I have many colleagues who seem to have little to no social life, because the are always available to work. Well, I am not. I decided from the beginning that I would have regular office hours and stick to them, unless it is absolutely necessary to work longer or on weekends. Yes, I usually do not work on weekends. If I was employed at an office, I wouldn't have too, either, so why should I do it when I am my own boss? If I get an inquiry for a new job, I never calculate the weekend in as workdays, so unless I totally misjudged how long a translations takes me, I close my office at 5 pm on Friday (sometimes even earlier) and do not open it again until 9 am on Monday. And you know what? I have not lost a job because of that policy yet. And even if I did, well, there's plenty of work out there that does not require me to give up my free time. Another great thing about being a freelancer is that I can move my working hours around, too, if I want or need to. For example, I want to meet with a bunch of friends for breakfast, which I know will take at least 3-4 hours out of my morning. If I have work that needs to be done, I just add those 4 hours onto the end of my usual workday. If I don't have work, great, a relaxed and fun morning with only half the work in the middle of the week! Or if the weather is perfect, I can go swimming in the morning and have it pretty much to myself, or ride my motorcycle during the week, which is definite plus where I live, since on the weekends the roads are packed with cars and motorcycles coming from the big city to the country. Another point are spontaneous mini-vacations. My husband works shifts, which can change on very short notice sometimes, so it is great to be able to take advantage of a few free days off to take a short trip somewhere without having to ask permission from the boss and co-workers. Of course, there are some downsides, as well, such as the lack of a secure and steady income, lots of paperwork employees don't have to worry about, the need to pay for insurances yourself etc. But still: I have not regretted taking the plunge and becoming a freelancer at all, and I don't think there is a job that pays enough for me to give it up, either. What about you? Are you a freelancer? Are you thinking about becoming one? What do you love about it? Is there anything you really don't like or that keeps you from working for yourself? Als ich neulich endlich mal wieder dazu kam im MDÜ, der Fachzeitschrift für Dolmetscher und Übersetzer, die mein Berufsverband heraus gibt, zu lesen, stieß ich auf einen Artikel von Ramón Hansmeyer über erfolgreiches Aufgabenmanagement, der mich sofort an einen Blogbeitrag erinnerte, den ich zum Thema Mutlitasking geschrieben hatte. Der Artikel im MDÜ 6/11 (ich weiß, ich bin stark im Leseverzug) hat zwar einen etwas anderen Schwerpunkt, aber grundsätzlich geht es auch dort um die Frage wie ich mir Aufgaben einteile und wann ich sie erledige. Das alles beinhaltete für mich nichts wirklich Neues, ich war im Gegenteil positiv überrascht, dass meine persönliche Methode, die den gleichen Grundsätzen folgt, nicht nur eine ist, die für mich funktioniert, sondern die auch noch quasi wissenschaftlich als 'gut und richtig' belegt ist. Was ich aber interessant fand, war die Aussage, dass unser Gehirn schlecht ist als Datenspeicher, Aufgabenliste, und Kalender. Gut dagegen kann es "intuitive Entscheidungen in klar definierten Kontexten treffen". Das Problem, das die meisten Menschen haben ist aber folgendes: "Wir hauen unseren Zwischenspeicher mit Daten voll und wundern uns dann, dass die Leistungsfähigkeit des Prozessors dramatisch abnimmt." Diesen Vergleich mit einem Computer finde ich super, v.a. weil er mich darin bestätigt, dass ich Recht habe, wenn ich alle Termine, Aufgaben etc. in meinem Outlook und meinem Smartphone speichere, anstatt zu versuchen mir alles zu merken. These are in no particular order, but sadly, I have experienced them all.